"This guy is very good, indeed... Here we have real tunes, with real phrasing and spaces between the notes that make sense. Nothing is gratuitously flash, but if you know your way around a fretboard, you know that this is deceptive. ... Every tune and song has a firm backbone of a melody." To reserve seats, click here. Sam Pacetti is one who brings it all together. A fingerstyle guitar wizard. A deft songwriter, capable of haunting depth and wry humor in the space of one song. An impassioned and ecstatic vocalist, as well as a mesmerizing live performer, seamlessly melding head-spinning guitar pyrotechnics and raw emotion into one breathtaking package. Tradition and innovation neatly balance in Sam Pacetti's music, the whole infused by a relentless intelligence intent on musical and philosophical synthesis. 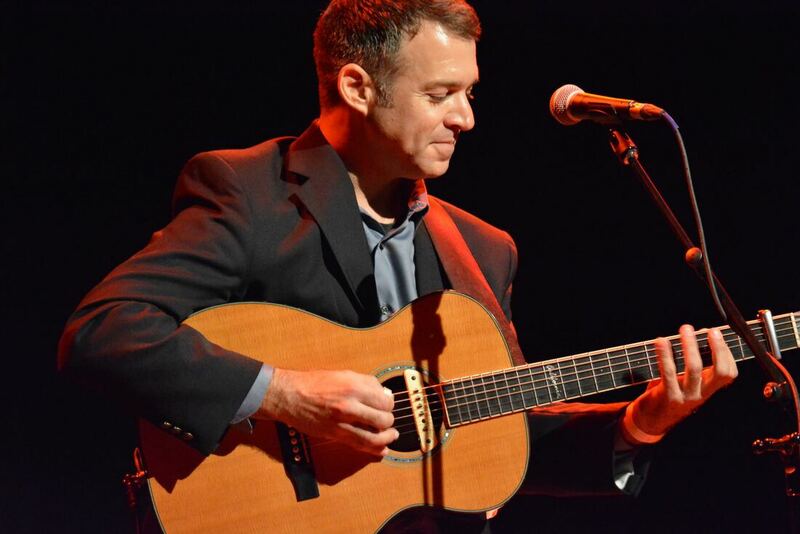 Martin Simpson, Richard Thompson, Joni Mitchell and Merle Travis are touchstones to Pacetti, and while there are strong elements of the American primitive school of guitar wizardry throughout his work, there is a powerful raw emotionality evident as well - an earthy sensuality more reminiscent of a Greg Brown or a red-dirt blues master than of a musical academic. Sam Pacetti performs "Church St. Blues"
Sam Pacetti peforms "Deep River Blues"